Welcome ! 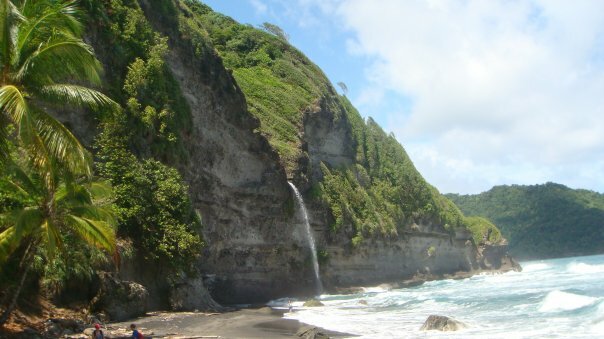 The purpose of this blog is to help people who are moving to Dominica that are affiliated with Ross University School of Medicine. Hopefully you will find this information useful in aiding your transition from US life to life on the beautiful nature isle of the Caribbean, Dominica. I spent time reading online about the island before I moved here, however, I really had no concept of what daily life in Dominica was like. For this reason, I’ve decided to paint a picture for you so that you will know what to expect and where to find what you need. I’ve also highlighted some practical tips and given you some resources to help answer some of the questions you might have. The best way to navigate through this blog is by clicking on the menu tabs above or by using the search function in the upper right hand corner of the home page. On a personal note, I have to say what a delight it has been for me to move from one French creole, Catholic culture to another. In Dominica I can still participate in Carnival, hear zydeco music, enjoy creole cooking, and hear words like crawfish, boudin and Lent–ah, just like home! From the Gulf Coast to the waters of the Caribbean Sea and the Atlantic Ocean, this has been an amazing journey. Laissez Les Bon Temps Roulez ! This entry was posted in Ross University School of Medicine and tagged Dominica, Dominica blog, Ross University Blog, Ross University School of Medicine. Bookmark the permalink. 3 Responses to Hello World ! This is fantastic! Great site! Great idea. Look at you! I will enjoy the Cajun island life thru ur blog! Lovely! I like your blog. I will be doing some exploring of your various links.